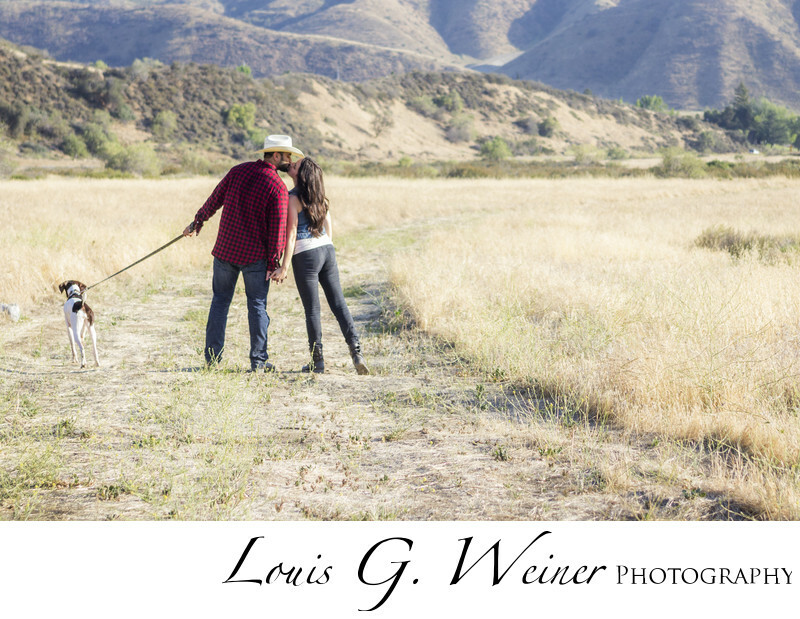 Kimberly, David and dog in Mentone for their engagement session. I love the action, walking the dog and stopping to kiss. The dog hardly minds at all. Mentone has many nice open outdoor locations. The look changes through out the year as the rain changes the foliage. This one is during summer when the grass changes to a great greenish tan color.